In 2011 Royal Bank of Scotland became proud supporters of the STV Children’s Appeal and to date have now raised £973,117. Over the years, Royal Bank of Scotland staff have taken part in various fundraising activities including: the annual Pedal for Scotland cycle from Glasgow to Edinburgh, some have walked all the Kiltwalks and others have done their own thing. Last year in 2018, Royal Bank of Scotland hosted two 'Big Scot Quiz' nights. One event taking place in Glasgow and the other in Edinburgh with all the money raised going to STV Appeal. 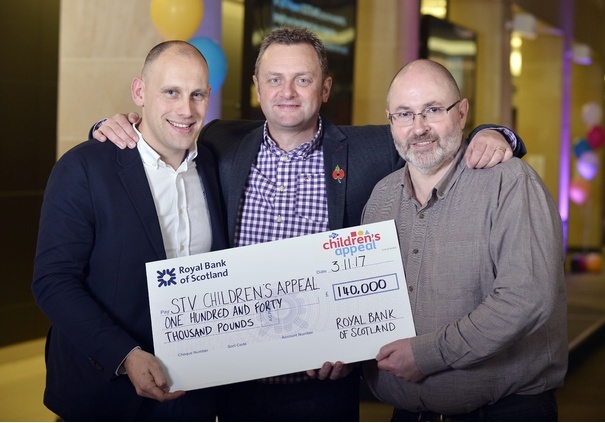 The STV Children’s Appeal is delighted to have the continued support of the Royal Bank of Scotland in 2019 and staff fundraising plans are already underway.